38 posts categorized "Prepaid Cards"
After encountering unresolved issues with financial services, many consumers file complaints with the Consumer Financial Protection Bureau (CFPB). After each complain, the CFP works hard to get each consumer a reply within 15 days. This process allows the CFPB to track which issues affect most consumers, and to identify emerging problems. "As of April 1, 2017, the CFPB has handled approximately 1,163,200 complaints, including approximately 28,000 complaints in March 2017... Student loan complaints showed the greatest percentage increase from January - March 2016 (773 complaints) to January - March 2017 (3,284 complaints), representing about a 325 percent increase. Part of this year-to-year increase can be attributed to the CFPB updating its student loan complaint form to accept complaints about Federal student loan servicing in late February 2016. The CFPB also initiated an enforcement action against a student loan servicer during this time period." 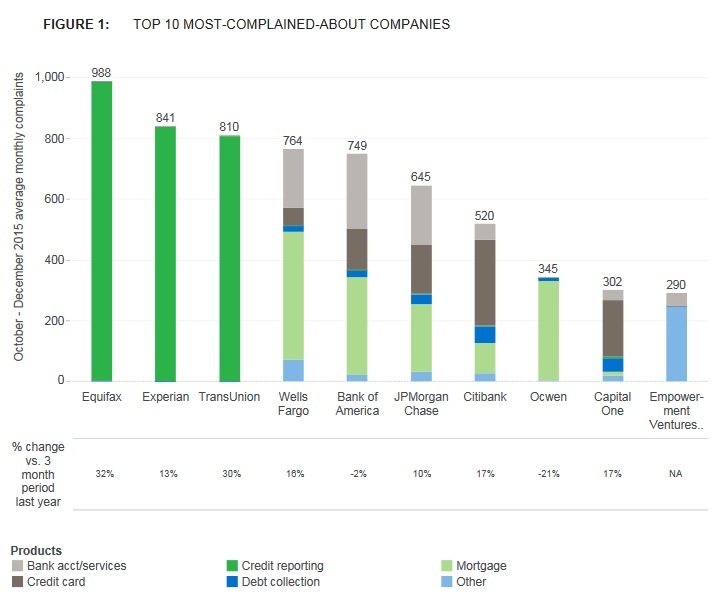 Also during March: debt collection complaints represented about 31 percent of complaints; debt collection, credit reporting and mortgage were the top three most-complained-about consumer financial products and services. 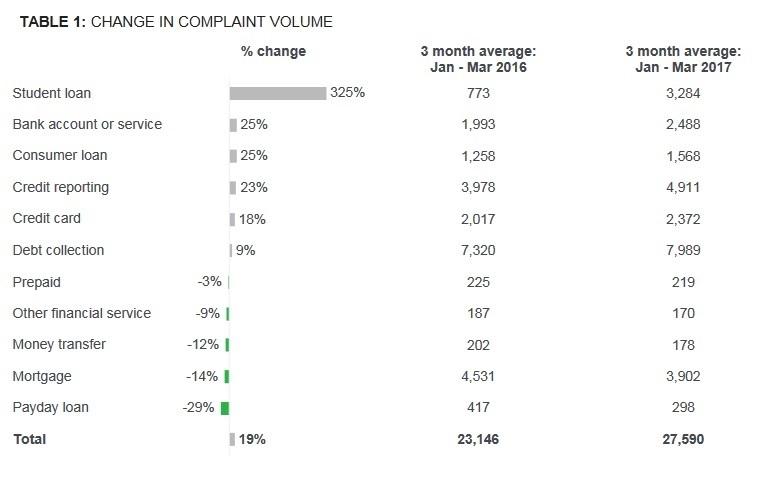 Together, these three categories represented 65 percent of complaints during March. "Montana (54 percent), Georgia (46 percent), and Wyoming (45 percent) experienced the greatest complaint volume percentage increase from January - March 2016 to January - March 2017. New Mexico (-20 percent), Iowa (-5 percent), and Kansas (-0.7 percent) experienced the greatest complaint volume percentage decrease... Of the five most populated states, Texas (35 percent) experienced the greatest complaint volume percentage increase and Florida (8 percent) experienced the least complaint volume percentage increase from January - March 2016 to January - March 2017." "Approximately 32,700 (or 74 percent) of all student loan complaints handled by the CFPB from July 21, 2011 through March 31, 2017 were sent by the CFPB to companies for review and response. The remaining complaints have been found to be incomplete (7 percent), referred to other regulatory agencies (19 percent), or are pending with the CFPB or the consumer (0.5 percent and 0.4 percent, respectively)... The most common issues identified by consumers are problems dealing with their lenders or servicers (64 percent) and being unable to repay their loans (33 percent)." "Federal student loan borrowers reported that when contacting their loan servicers regarding financial distress, servicers provided them with information on hardship forbearance or deferment, instead of potentially more beneficial repayment options like income-driven repayment plans... loan borrowers complained of difficulty enrolling in income-driven repayment plans. Borrowers reported lost documentation, extended application processing times, and unclear guidance when seeking to switch from one income-driven repayment plan to another." Federal student loan borrowers described their experiences when trying to obtain guidance in completing annual income recertification for their income-driven repayment plan. Borrowers reported receiving insufficient information from their servicers to meet recertification deadlines and lengthy processing times. Some federal student loan borrowers stated their payments were misapplied. Borrowers reported overpayments were not applied to specified accounts but rather applied to all accounts managed by the servicer. Additionally, some borrowers’ overpayments—intended to reduce principal balance—were credited to the account as an early payment, resulting in their ac count reflecting a paid ahead status..."
To read more, download the full "April 2017: CFPB Monthly Complaint Report: Vol. 22" (Adobe PDF). Americans still love to use the plastic in their wallets and purses. Just before the holidays, the Federal Reserve Board (FRB) released the results of its study about how Americans use non-cash payment methods: debit cards, credit cards, prepaid cards, ACH payments, and checks. The study included the total number and value of non-cash payments by consumers and businesses through 2015. "The number of debit card payments (including payments with prepaid and non-prepaid cards) grew to 69.5 billion in 2015 with a value of $2.56 trillion, up 13.0 billion or $0.46 trillion since 2012. This was the largest increase in number of payments among the payment types considered. Debit card payments grew at an annual rate of 7.1 percent by number or 6.8 percent by value from 2012 to 2015 with most of the growth occurring in non-prepaid debit card payments. The number of credit card payments reached 33.8 billion in 2015 with a value of $3.16 trillion, up 6.9 billion or $0.61 trillion since 2012. Credit card payments grew at an annual rate of 8.0 percent by number or 7.4 percent by value from 2012 to 2015, the largest growth rates among the payment types considered... 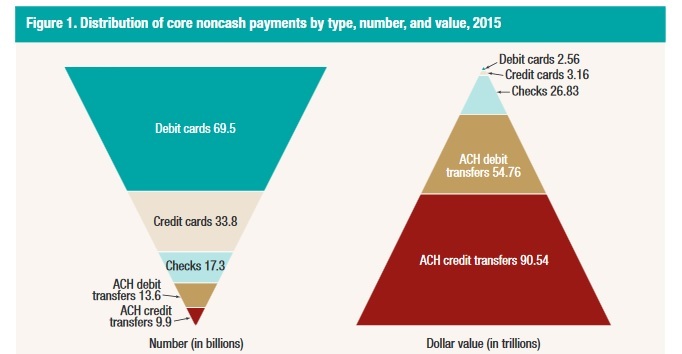 The number of check payments fell to 17.3 billion with a value of $26.83 trillion, down 2.5 billion or $0.38 trillion since 2012. Check payments fell at an annual rate of 4.4 percent by number or 0.5 percent by value from 2012 to 2015. The decline of checks over the period was slower than previous studies had shown for prior periods since 2003." Prepaid cards typically include gift cards and payroll cards which consumers load money onto and which aren't linked to bank accounts (e.g., checking, savings). Past studies have documented numerous fees with prepaid cards while some consumers use prepaid cards instead of traditional bank accounts. "Non-prepaid debit cards" refer to debit cards linked to traditional bank accounts. "The number of prepaid debit card payments reached 9.9 billion with a value of $0.27 trillion in 2015, up 0.6 billion or $0.04 trillion since 2012. Almost all of the growth in prepaid debit card payments by number and value came from general-purpose prepaid cards, which can be used over the same general-purpose networks as non-prepaid debit cards. General-purpose prepaid card payments increased to 3.7 billion in 2015 by number, up 0.6 billion from 2012 to 2015, which was much less than the growth of 1.8 billion from 2009 to 2012... The average value of payments using these types of cards dropped slightly from $35 in 2012 to $34 in 2015. Private-label prepaid card payments declined slightly by number, but rose somewhat by value from 2012 to 2015. In 2012, such payments totaled 3.7 billion by number or $0.05 trillion by value, while, in 2015, they totaled 3.6 billion by number or $0.07 trillion by value. Private-label prepaid card payments dropped at an annual rate of 0.3 percent by number but rose 15.0 percent by value. Hence, the average value of these payments rose from $13 to $20. Payments made by prepaid EBT cards increased slightly from 2.5 billion in 2012 to 2.6 billion in 2015, or 1.7 percent per year, while the value of these payments also increased slightly from $0.07 trillion to $0.08 trillion, or 0.20 percent per year. The average value of prepaid EBT card payments declined slightly, from $30 to $29. 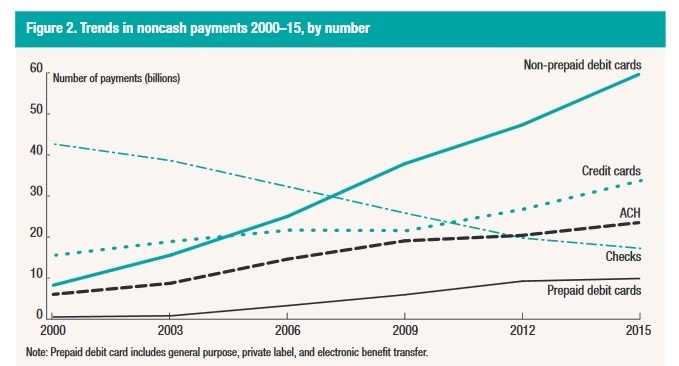 In 2015, non-prepaid debit and general-purpose prepaid cards were used in 5.8 billion cash withdrawals at ATMs, virtually the same level as in 2012, after dropping from 6.0 billion ATM cash withdrawals in 2009. The average value of ATM cash withdrawals rose from $118 to $122 between 2012 and 2015, continuing an upward trend in average value since 2003." "Payments with general-purpose cards using embedded microchips, which improve the security of in-person payments to help prevent fraud, have grown by 230 percent per year since 2012. But payments with the chip-based cards amounted to only about 2 percent share of total in-person general-purpose card payments in 2015, reflecting the early stages of a broad industry effort to roll out chip card technology. In 2015, the proportion of total general-purpose card fraud by value attributed to counterfeiting, the most prevalent type of in-person card fraud in the United States, was substantially greater than in countries where chip technology has been more widely adopted." Counterfeit card: Fraud is perpetrated using an altered or cloned card. Lost or stolen card: Fraud is undertaken using a lost or stolen card. Card issued but not received: A newly issued card sent via postal mail to a cardholder is intercepted and used to commit fraud. Fraudulent application: A new card is issued based on a fake identity or on someone else’s identity. Other: “Other” fraud includes account takeover and other types of fraud not covered above. Fraudulent use of account number: Fraud is perpetrated without using a physical card. Fraud is perpetrated via two channels: 1) in-person when the cardholder has their card, and 2) remote when the cardholder is not present (e.g., postal mail, online, telephone). To learn more, download the "2016 Federal Reserve Payments Study" (Adobe PDF) and/or read the FRB announcement. "Signs of potential problems may include a notice, bill, or debit card for an account that was not activated or authorized, as well as a notice of fees for unsolicited products or services tied to an existing account. Consumers who see questionable activity should contact their financial institution immediately. Consumers who continue to experience issues may also submit a complaint to the Federal Reserve. The Federal Reserve maintains the Federal Reserve Consumer Help (FRCH) website, which offers an online complaint form and information on filing complaints by fax and phone for consumers. The FRCH website also provides consumer alerts, frequently asked questions, and information about other government agencies. While the Federal Reserve does not have the authority to resolve every problem, it will refer complaints to the relevant federal or state agency. Consumers can contact FRCH at 1-888-851-1920, or at www.federalreserveconsumerhelp.gov." Other relevant federal agencies may include the Federal Trade Commission (FTC), the Consumer Financial Protection Bureau (CFPB), and the Securities & Exchange Commission (SEC). "Numi Financial is one of many for-profit players in an increasingly privatized prison industry... Numi is now in more than 400 jails across the country, including large facilities that house up to 8,500 inmates, and the company issues more than 600,000 cards a year. 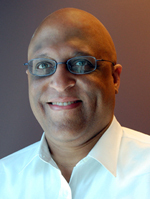 That’s enough to make Numi one of the top 10 providers nationwide of prepaid cards of all kinds... Richard E. Deloney Jr., vice president of business development at Numi, said Numi’s model is based on “turnover.” “We market to the 3,300 jails in the country,” he said... According to a 2015 Dun & Bradstreet report on Stored Value Cards, Numi’s parent company, its revenue is $3 million a year." "The terms for the card used in Multnomah County lists 11 possible fees—the $5.95 monthly fee, a $2.95 fee for ATM withdrawals, $0.95 for a declined transaction, $1 to check the balance, and $9.95 to have the balance refunded by check. Some cards have as many as 19 fees, a maintenance fee as high as $15 a month, and higher fees for international transactions." "At least 10 companies now offer release cards or inmate banking services to correctional systems. JPMorgan Chase does not give a card to each and every prisoner, but according to the Center for Public Integrity, it has a “lock” on the Federal Bureau of Prisons population, which currently stands at just under 200,000. At the state level, CPI found that JPay, a company founded in 2002, dominates, generating “well over $50 million in revenue” in 2013. It was acquired for $250 million in 2015 by Securus Technologies..."
There are plenty of issues with prison release cards. First, arrestees are a vulnerable population. They are forced to accept and use release cards since their cash has been confiscated. There is no opt-out, unlike other consumers who can choose other bank services instead. This can create hardship, as the Nation's article highlighted an arrestee released at 2:00 am with no way to get home. Not all taxi-cabs accept prepaid cards. "The banks’ exclusive deals came not from the Bureau of Prisons, but from the U.S. Treasury. The agency awarded the contracts using a 150-year-old authority that allows it to sidestep the oversight, transparency and competition typically required for federal contracting. That means that for 14 years, Bank of America has never been required to compete with other vendors who might do the work better or for less money, according to Treasury documents obtained under the Freedom of Information Act. JPMorgan’s no-bid deal to issue debit cards for various federal agencies began in 1998, was extended in 2008 and eventually expanded to include cards for federal prisons. Fees from former inmates make up most of the bank’s compensation for these cards..."
This is absolutely lousy, poor management by government officials with no attempt to lower costs for taxpayers. Competition matters. Competition forces companies to provide better services, lower costs, and ideally both. Fifth, prison release cards are given to all arrestees when released. That includes both people arrested for just causes wh have served their prison time, and people where law enforcement has dropped all charges. You'd think that people released with charges dropped would simply have their cash returned to them, but they too are forced to use prison release cards. "Prison release cards are a critical tool for people leaving prisons to transfer their earned wages and/or commissary account balances to a prepaid card. Any reductions to the wages and account balances of formerly incarcerated people could harm their ability to successfully reenter society. Today, some firms charge high fees on prison prepaid cards that create significant barriers to reentry for formerly incarcerated people. Most corrections agencies that report using prepaid cards also report that fees are imposed on cardholders, including unusual fees such as weekly maintenance fees. These cards often also include forced arbitration provisions. As your recent study on arbitration showed, the rights of consumers nationwide are limited by forced arbitration in the financial services industry. As another example, states receive revenue from certain vendors chosen to provide prison release cards. Correctional facilities may also structure their contracts with prepaid card vendors in such a way that costs are entirely passed on to formerly incarcerated people." The letter listing all 18 U.S. Senators is also here. Sixth, the forced arbitration clauses are typically one-sided, expensive for consumers, and heavily favor the company, as readers of this blog already know. Some consumers aren't waiting and have filed a class-action lawsuit: Brown versus Numi Financial, No. 3:15-cv-01370-MO (Adobe PDF). The court rejected Numi Financial's motion for arbitration. Good! Other affected consumers may want to join this suit. What are your opinions of prison release cards? "Maria Nistri, 48, was a victim this week. Criminals stole the Orlando women’s $34.77 in value she had loaded onto her Starbucks app, then another $25 after it was auto-loaded into her card because her balance hit 0. Then, the criminals upped the ante, changing her auto reload amount to $75, and stealing that amount, too. All within 7 minutes." "Because Starbucks isn’t answering specific questions about the fraud, I cannot confirm precisely how it works, but I have informed speculation, based on conversations with an anonymous source who is familiar with the crime. The source said Starbucks was known to be wrestling with the problem earlier this year. Essentially, any criminal who obtains username and password credentials to Starbucks.com can drain a consumer’s stored value, and attack their linked credit card." So, the fraud suggests that criminals have already stolen large numbers of Starbuck customers' usernames passwords, perhaps by keylogging malware, phishing e-mails, phishing texts, vulnerabilities in the mobile app, brute-force password attacks (since many consumers use the same password at multiple sites), or a combination. Starbucks claims its mobile app has not been hacked and the problem is not widespread. Some banks have flagged multiple reloads through checking accounts and temporarily closed victims' accounts to stop the theft. Security experts fault Starbucks for not using two-factor authentication for gift-card reloads and for not flagging multiple reloads of consumers' cards within minutes. Use strong passwords and don't use these weak passwords. Be very careful about enabling auto-reload features with prepaid cards. Or, disable it. Instructions to disable the auto-reload feature are available at the Starbucks site. Criminals love prepaid cards because they are a source of cash. You now know the risks for ignoring this advice. The whole situation highlights is a reminder that Apple branded mobile devices can be hacked, too. There are numerous scams victimizing members of the community where they are being contacted by phone and instructed to buy pre-paid cards such as Green Dot and Vanilla Reload. The caller is telling the victims that their heat or electricity will be shut off, they owe the I.R.S. taxes, and they will be arrested, that they have just won a lottery or prize, and need to pay taxes, or a relative is being held until money is paid. The victims are told to buy the cards and then call the scammer back and give them the code number off the card. The money is then electronically withdrawn and the card is empty. Before you buy the card, contact the Boston Police at 617-343-4700 if you received one of these possible scam phone calls." Green Dot and Vanilla Reload are real, valid prepaid cards used by consumers. Many consumers use prepaid cards to avoid the high overdraft fees banks impose on checking account debit card users. Some employers use a version of prepaid cards, called payroll cards. It is important to realize that many fees apply to repaid cards. You can learn more in the Prepaid Cards section of this blog. 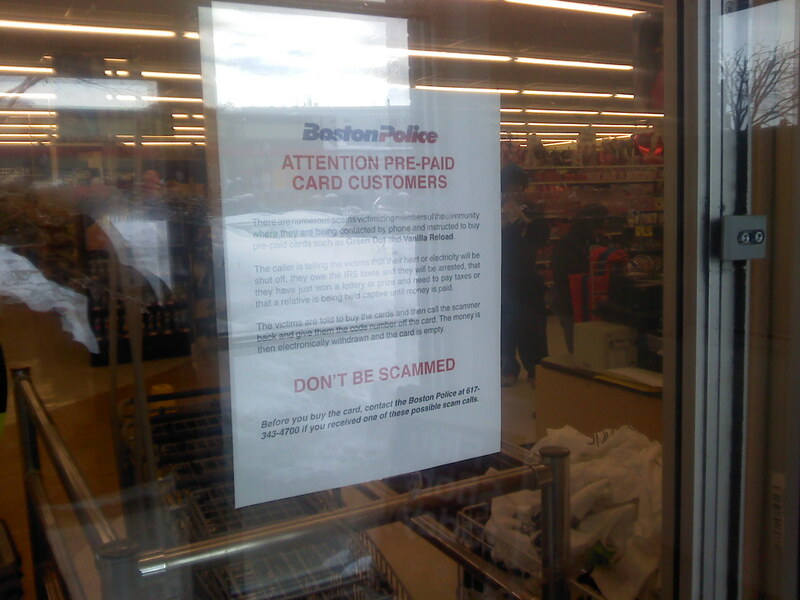 It is good for retail stores to warn their customers of phone scams. This notice described several current variations of the phone scam. Most versions include are threats (e.g., owe taxes, kidnapped relative, utilities will be shut off) to make the victim act quickly without thinking. "Victims are then told by the caller (suspect) that they have won a prize which includes a large amount of money, a new car or property. Victims are then instructed by the caller to go to a local convenience store and purchase a Green Dot Money Pack (reloadable credit card). After the reloadable credit card is purchased, victims are instructed to contact the caller (suspect) and provide the serial number to the prepaid card. Once that occurs, the suspect is given access to the account and the money. Officers would like to take this opportunity to alert potential victims that there is no prize. This is a scam." Obviously, when criminals find a scam that is successful, they will continue with it and add new versions to make it more difficult to recognize. Criminals will also move the scam and call consumers in other areas or states. Have you received a phone call about this prepaid card scam? If so, tell us when and the town where you live. Recently, I received several prepaid cards as birthday gifts. One gift was the Vanilla Visa Gift Card, a prepaid card. Perhaps, you have heard of it or used it. Since I have written about prepaid cards in this blog, I was curious to see what was inside the Vanilla Visa package. "IF TAMPER EVIDENT, DO NOT PURCHASE... No Fees After Purchase. Check your balance 24/7. Visit www.vanillavisa.com"
I took the above photos after I opened the package. Hence, you see the tear in the above photograph of the packaging. The back exterior also includes spaces for the gift giver to write their name, the amount of money on the prepaid card, and the recipient's name. The sealed package seems to be a nice improvement so the consumer knows that the magnetic strip on the back of the prepaid card has not been tampered with. Retail stores frequently display racks of prepaid cards exposed without packages. "The Cardholder Agreement ("Agreement") constitutes the agreement between you, the Bancorp bank, Wilmington, Delaware ("The Bancorp Bank" or "Issuer"), ITC Financial Licenses, Inc. and IH Financial Licenses, Inc. outlining the terms and conditions under which the Vanilla Visa Card has been issued to you by the issuer... All Cards are issued by the Issuer and distributed and serviced either by ITC Financial Licenses, Inc. or IH Financial Licenses, Inc., depending upon the state or territory in which the Card was sold." "Founded in 2000, The Bancorp creates customized banks for our hundreds of affinity partners, setting a new standard in financial services innovation. Today, The Bancorp remains one of the few financial service companies in the world dedicated to providing private-label banking and technology solutions for non-bank companies ranging from entrepreneurial start-ups to those on the Fortune 500." 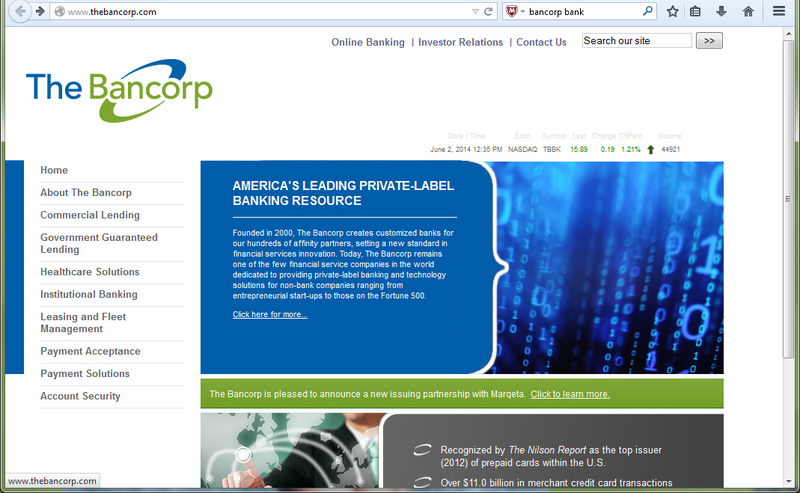 So, companies wanting to offer prepaid cards to their customers might do business with The Bancorp Bank. As with any prepaid card, it is critical for consumers to know the terms and conditions; especially what fees apply and when they apply. With this card, there are no fees after purchase. (In my case, the gift giver paid the fee.) That is good, and the card has an expiration date. Mine expires in June 2022; plenty of time to use the $25 on it. You can use the Vanilla Visa card only in the 50 states and the District of Columbia within the United States. The default state of the card is that it is not re-loadable; meaning you can spend only the value on the card. (In my case, I could spend the amount from the gift giver.) However, at the Vanilla Visa website, you can upgrade your card to make it a re-loadable prepaid card. I did not upgrade my card. Wise consumers will consult the website first to determine what additional fees apply before upgrading their cards to re-loadable status. If your Card includes a notice that activation is required, you must activate the Card before you can use it. Please visit www.vanillavisa.com or call 1-855-904-7299 to activate your Card." I was pretty certain that my card had been activated by the gift giver, but I called the phone number anyway just to confirm. The phone system included a message (on June 2, 2014) that card activation was not available via the telephone system. Not good. It's not good to promise something and then not fulfill that promise. Next, I visited the website. It included a secure connection (https://) to enter the card number -- which I did. The results screen confirmed the amount on my card and that my card had been activated. That was good, easy, and fast. I plan to use my Vanilla Visa card when dining at a restaurant. Since the bill will likely be higher than the $25 amount on my card, I will likely use the card plus cash to pay my bill -- something the Cardholder agreement calls a "split transaction." To do this, cardholders need to know the balance on their cards, and if the restaurant, or retail store, accepts split transactions. Some don't. A split transaction could also include other payment types (e.g., a prepaid card and a credit card; two prepaid cards, etc.). You get the idea. "Some merchants do not allow cardholders to conduct split transactions... If you wish to conduct a split transaction and it is permitted by the merchant, you must tell the merchant to charge only the exact amount of funds available on the Card to the Card. You must then arrange to pay the difference using another payment method..."
Any claim, dispute, or controversy ("Claim") between you and us arising out of or relating in any way to this Agreement, your Card, your purchase of the Card, your usage of the Card, or transactions on the Card, no matter how described, pleaded or styled, shall be finally and exclusively resolved by binding individual arbitration conducted by the American Arbitration Association ("AAA") under its Consumer Arbitration Rules in your state of residence at a location that is reasonably convenient for both parties. ARBITRATION OF YOUR CLAIM IS MANDATORY AND BINDING. NEITHER YOU NOR WE WILL HAVE THE RIGHT TO LITIGATE THAT CLAIM THROUGH A COURT. IN ARBITRATION, NEITHER YOU NOR WE WILL HAVE THE RIGHT TO A TRIAL BY JUDGE OR JURY." "Binding arbitration, a little noticed clause in many agreements and contracts, strips consumers of their fundamental rights, including the right to sue individually or join a class-action suit if they have a problem with a company. Under binding arbitration, a consumer can be forced to pay thousands of dollars upfront to pursue a complaint, travel thousands of miles to a location of the company's choosing for the hearing, argue their case before an arbitrator who depends on the company for future business and surrender such basic legal weapons as the right to discovery and the right to appeal a decision... Labeled by the National Consumer Law Center as "astonishingly unfair and undemocratic," these clauses affect millions of consumers across the country. Corporations insert them into employment and home building contracts, in agreements for credit cards, computer software and hardware purchases, and many types of loans." "Consumers' costs for arbitration vary widely and depend on the arbitration company, the type of dispute and the cost of the proposed remedy. The American Arbitration Association offers a streamlined process for consumer disputes that limits costs, but limits your rights too. While the American Arbitration Association is an umbrella group for arbitration companies, not all arbitration companies follow its suggested rules. Under these consumer rules, there is a filing fee of $125 if your dispute is under $10,000 and $350 if it is over that amount... However, in exchange for the low filing fees and streamlined process, you must give up some of your rights... There is no contingency in arbitration. Also, these costs don't include costs for an attorney if you want one..."
"One of the alleged benefits of arbitration is that it costs less than litigation, but frequently this is not true for consumers and employees. Forced arbitration frequently costs more than taking a case to court and can cost thousands of dollars. Individuals often have to pay a large fee simply to initiate the arbitration process. If they are able to get an in-person hearing, individuals sometimes have to travel thousands of miles on their own dime to attend the arbitration. In the end, the loser (usually the individual) often pays the company’s legal fees." The Public Citizen website lists the banks, retail stores, entertainment, online shopping, telecommunications, consumer electronics, software, nursing homes, and health care companies that include binding arbitration clauses in their contracts with customers. If this bothers you (and I hope that it does), you can take action at the NACA website. With the Vanilla Visa prepaid card, its packaging exterior does not seem to provide any indication of the contractual clauses. A cardholder learns about the binding arbitration clause after the purchase, and after you have opened the package to read the contract. Is this fair? Is this right? Is this legal? While this is legal, to me it isn't fair nor right. Important contract terms like binding arbitration should be stated on the exterior packaging. Otherwise, consumers are making uninformed purchases. Also, the above three lost rights are important for consumers; especially when things go wrong with a product or service. Since technology moves forward far faster than federal, state, and local laws, differences of opinion are likely... and hence, disputes. It is not good that more corporations have inserted binding arbitration clauses into their contracts. Case law, the accumulation of court decisions by judges and juries, is the backbone of the judicial system in the United States. While corporations have every right to limit their legal costs, that isn't always a benefit for consumers. So, consumers have every right not to purchase products and services from corporations that include binding arbitration clauses in their agreements. While using a prepaid card may seem as easy as using cash, there are several important differences consumers need to know. Many people like the convenience of prepaid cards: you can't spend more than your card's balance, and you can avoid overdraft fees (but incur other fees). For me, cash offers more benefits without the complexities. With cash, I can't spend more than what's in my wallet, there are no overdraft fees, and no other fees (e.g., maintenance, non-usage, check balance, etc.). In my opinion, prepaid cards are not as easy to use as cash. With prepaid cards you lose privacy because the banks, or corporations you do business with usually store and analyze your purchases. And with the Vanilla Visa card, you lose several rights due to the binding arbitration clause in the contract. After writing this review, I did an online search to see what other reviews exist. 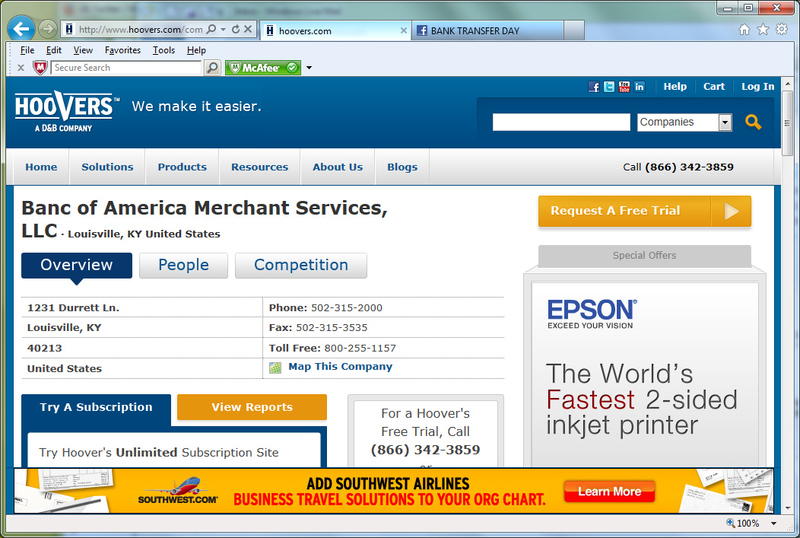 You may find helpful the Vanilla Visa Gift Card reviews at the Consumer Affairs site. What's your opinion of the Vanilla Visa prepaid card? Of the contract terms? If you have used this prepaid card, share your experiences below. "... were issued for corporations to pay employees and for government agencies to issue tax refunds, unemployment compensation and other benefits. JPMorgan said Wednesday it had detected that the web servers used by its site www.ucard.chase.com had been breached in the middle of September..."
Unencrypted data was accessed. The bank is notifying the affect prepaid card holders, who comprise about two percent of 25 million UCard users. Network World reported that the bank will not issue replacement prepaid cards, and the card-holder notification focused on users who registered their cards between July and September of 2013. In November, JPMorgan signed several settlement agreements with both federal and state agencies to resolve charges that the bank misrepresented residential mortgage-backed securities (RMBS) it sold to investors, including several banks that later failed. The bank paid about $13 billion in reimbursements and fines. "... illegal credit card practices. This enforcement action is the result of work started by the Office of the Comptroller of the Currency (OCC), which the CFPB joined last year. The agencies found that Chase engaged in unfair billing practices for certain credit card “add-on products” by charging consumers for credit monitoring services that they did not receive." "Federal authorities have opened a bribery investigation into whether JPMorgan Chase hired the children of powerful Chinese officials to help the bank win lucrative business... In one instance, the bank hired the son of a former Chinese banking regulator who is now the chairman of the China Everbright Group, a state-controlled financial conglomerate... After the chairman’s son came on board, JPMorgan secured multiple coveted assignments from the Chinese conglomerate... The Hong Kong office of JPMorgan also hired the daughter of a Chinese railway official..."
"... payments to foreign government officials to assist in obtaining or retaining business. Specifically, the anti-bribery provisions of the FCPA prohibit the willful use of the mails or any means of instrumentality of interstate commerce corruptly in furtherance of any offer, payment, promise to pay, or authorization of the payment of money or anything of value to any person, while knowing that all or a portion of such money or thing of value will be offered, given or promised, directly or indirectly, to a foreign official to influence the foreign official in his or her official capacity, induce the foreign official to do or omit to do an act in violation of his or her lawful duty, or to secure any improper advantage in order to assist in obtaining or retaining business...."
"Only a handful of Wall Street employees have ever faced bribery accusations, including a former Morgan Stanley executive in China who pleaded guilty to criminal charges in 2012..."
The above instances are the tip of the proverbial iceberg. Read more about the bank's sordid history. To me, it seems rotten to the core, and needs to be dissolved with jail-time for all senior executives. The Google Wallet Prepaid Card. Is It a Good Deal? Recently, Google launched the Google Wallet Card, a new, physical prepaid card you can use in addition to using your smart phone to pay for purchases via the Google Wallet service. Readers of this blog know that I've discussed prepaid cards at length in this blog. So, the appropriate question: is the Google Wallet Card a good deal? To answer this, first I read the card announcement at the Google Commerce blog. The Google Wallet Card is structured like any other prepaid card. You add money to it, and then use the available balance on your card to make purchases in retail stores and/or to withdraw cash at ATM machines. You must have a Google Wallet account, first. The blog post announcement said that the Google Wallet Card can be used at "millions of MasterCard(R) locations." That seems partly true. Keep reading. Google Wallet Card users also need the Google Wallet app running on their smart phone. The app provides notifications about purchases with the Card, and allows Card users to check their available card balances, add money to their Wallet/Card, and perform related tasks. Right now, Google Wallet users can order the Google Wallet Card for free. Then, I visited the Google Wallet Card FAQ page, which is buried within the Google Wallet website. The page clearly stated that the Google Wallet Card can only be used within the United States. So, the announcement in the Google Commerce blog is a little misleading, and not quite accurate. There are fees if you add money from a debit/credit card, but no no fees if you add money from a checking account. So, how you use the Card matters. I found it extremely helpful to read the page listing fees for both the Google Wallet and the Google Wallet Card. The fee-listing page is a site page Card users will probably want to refer to frequently, since fees can change. More importantly, this page provides the warnings that the bank or ATM network (e.g., NYCE, Cirrus, Plus, etc.) may charge fees for cash withdrawals and checking balances at ATM mchines. The fee-listing page doesn't list the specific fees banks or ATM networks might charge. It just gives the general warning. I found this general warning a disappointment. It would be more helpful if the fee-listing page included these additional fees, so Google Wallet Card users would know in advance what fees they will likely encounter at ATM machines. At the Google Wallet Card FAQ page, I looked for links to the fee schedule or Card agreement. I've learned that these documents specify all relevant details. I did not see links prominently in the Google Wallet Card FAQ page. This was a disappointment. Users should not have to hunt for these links, as I did. "If you use your [Google Wallet Card] at an automated fuel dispenser (“pay at the pump”), the merchant may preauthorize the transaction amount up to $100.00 or more. If your Card is declined, even though you have sufficient funds available, pay for your purchase inside with the cashier. If you use your Card at a restaurant, a hotel, for a car rental purchase, or for similar purchases, the merchant may preauthorize the transaction amount for the purchase amount plus up to 20% or more to ensure there are sufficient funds available to cover tips or incidental expenses incurred. Any preauthorization amount will place a “hold” on your available funds until the merchant sends us the final payment amount of your purchase. Once the final payment amount is received, the preauthorization amount on hold will be removed. It may take up to seven (7) days for the hold to be removed. During the hold period, you will not have access to the preauthorized amount." For security reasons, I almost never use a debit/credit/prepaid card at gas station pumps becasue it is extremely easy for identity theives to tamper with gas station pumps. When gas stations are closed, the pumps are usually unattended and left out in the open where anyone can access them. So, is the Google Wallet Card a good deal? Only you can decide for yourself as you know your financial situation best. The above transaction limits may or may not fit with your lifestyle and financial needs. Your current debit- or prepaid card may offer fewer or no fees for ATM machine usage. Hopefully, I have highlighted the issues and terms to consider to make an informed decision. The Google Wallet Card is not for me because I avoid using any prepaid cards due to many fees and fewer consumer protections. My current mix of credit cards and a debit card with my bank fulfill my banking needs. "[Google Wallet] hasn't really taken off, however -- iPhones haven't adopted the technology necessary to use the in-store payment feature, and many retailers don't have the appropriate point-of-sale equipment to process the transactions." What's your opinion of the Google Wallet prepaid card? Coin: A New Service Combines Several Payment Cards On A Single Card. Is It a Good Deal? Coin, a new credit-card like payment device, has received a fair amount of press coverage recently. If you haven't heard about Coin, which will debut in 2014, it is a new service that allows you to store payment information for up to eight credit-, debit-, and prepaid cards on a single card-like device. You can use the Coin service to lighten your wallet or purse by leaving at home all of your physical plastic cards. And, Coin has some nifty features that work with your smart phone. If you pre-order Coin now, it'll cost you either $50 or $100. So, the next appropriate question: is Coin a good deal? Many technophiles I know will pre-order Coin now and start using it when it becomes available next summer. They like to use the next new, shiny, mobile device or service. Nothing wrong with that. I prefer to look a little deeper first. We've all experienced products, services, and social networking websites that promote convenience while the cost, or price we pay, has usually been our privacy and personal information. So, when a new financial payment device promotes convenience, I'm inclined to investigate first. "1. USE OF THE SERVICE. You are solely responsible for the use of the Service. By using the service you acknowledge that your use of the Service is solely at your own risk... Subject to the Terms, Coin grants you a limited, non-exclusive, non-transferable, revocable license to use any software that is provided by Coin that is pre-installed on, embedded in or incorporated into the Coin Card (“Embedded Software”)..."
"... Access or use the Site for any comparative or competitive research purposes;"
Huh? Part of deciding whether or not to use any financial product or service is to research it and compare it against alternatives. This term struck me as most odd and curious. Maybe the lawyers at Coin rule. "... If you have any reason to believe that your account information has been compromised or that your account has been accessed by a third party, you agree to immediately notify Coin by e-mail security@onlycoin.com. You are solely responsible for your own losses or losses incurred by Coin and others due to any unauthorized use of your account." "... you should immediately contact the customer service department of your credit card company and/or bank to suspend access to the financial accounts associated with your Coin Card. Additionally, you should use the App to disable your Coin Card until the Coin Card is recovered or replaced. If your Coin Card is lost, damaged or stolen you may purchase a replacement card..."
That seems pretty clear, too. I was hoping that the folks at Coin might help with notifying banks and card issuers of lost/stolen credit/debit/prepaid cards since they would already have all of my information for each debit/credit/prepaid card loaded on my Coin card. I guess not. If your account or Coin card are hacked and your money is stolen, then you are on your own to notify each card issuer, and to absorb any financial losses. Maybe your bank or financial institution will help and reimburse your for any stolen funds... or maybe they won't. Perhaps most importantly, CNN Money reported that Coin doesn't have the approval of the credit card issuers and networks. That approval seems critical to me before ordering (or pre-ordering) Coin. It seems wise for consumers to check the terms of service or contract for any credit card to make sure a device like Coin isn't prohibited. "13. WARRANTY DISCLAIMER. THE SERVICE IS PROVIDED ON AN “AS IS” BASIS, WITHOUT WARRANTY OF ANY KIND." If the Coin site, mobile app, or Coin card are hacked or contain malware, you still are on your own. In my opinion, any site that compiles financial payment information for users is a high-value target by hackers. Hackers go where the money and salable user information are. "... In the interest of resolving disputes between you and Coin in the most expedient and cost effective manner, you and Coin agree that any and all disputes arising in connection with this Agreement shall be resolved by binding arbitration... Arbitration uses a neutral arbitrator instead of a judge or jury, may allow for more limited discovery than in court, and can be subject to very limited review by courts... You understand and agree that, by entering into these Terms, you and Coin are each waiving the right to a trial by jury or to participate in a class action... No Class Actions. YOU AND COIN AGREE THAT EACH MAY BRING CLAIMS AGAINST THE OTHER ONLY IN YOUR OR ITS INDIVIDUAL CAPACITY, AND NOT AS A PLAINTIFF OR CLASS MEMBER IN ANY PURPORTED CLASS OR REPRESENTATIVE PROCEEDING. Further, unless both you and Coin agree otherwise, the arbitrator may not consolidate more than one person’s claims..."
Maybe these rights (e.g., to sue, to join with other consumers) aren't important to you, or maybe they are important. I mention this so you know what rights you may give up. And, Coin uses are liable for certain fees should you pursue arbitration. In my opinion, companies have introduced this into their policies to limit their financial exposure. To me, it is the loss of important rights for consumers. Since technology moves forward far faster than federal, state, and local laws, differences of opinion are likely... and hence, disputes. "Examples of personal information include name, email address, mailing address, mobile phone number, and credit card or other billing information. Personal information also includes other information, such as date of birth, geographic area, or preferences, when any such information is linked to information that identifies a specific individual..."
"... we may automatically record certain information from your device by using various types of technology, including “clear gifs” or “web beacons.” This "automatically collected" information may include your IP address or other device address or ID, web browser and/or device type, the web pages or sites that you visit just before or just after you use the Service, the pages or other content you view or otherwise interact with on the Service, and the dates and times that you visit, access, or use the Service. We also may use these technologies to collect information regarding your interaction with email messages, such as whether you opened, clicked on, or forwarded a message." So, like most other social networking sites, you are the product and Coin will collect an extensive amount about both you and your activities through the Coin card, mobile app, and website. When I read both policies I looked for language that stated whether or not Coin collects my purchase or transaction information (e.g., amount, store, location, items). That is where the value is. 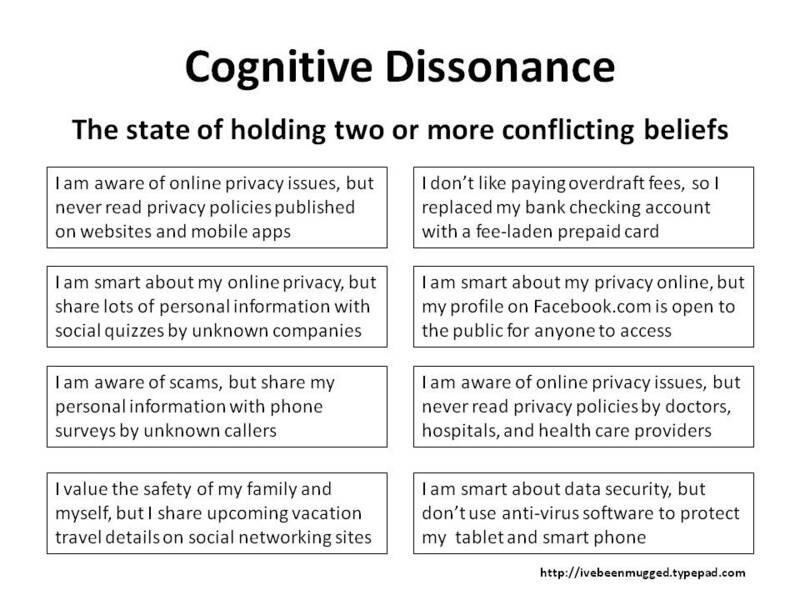 Banks know this and already collect consumers' purchase information. To me, it is reasonable to assume that Coin will collect this purchase information also. "We cannot, however, ensure or warrant the security of any information you transmit to us or store on the Service, and you do so at your own risk. We also cannot guarantee that such information may not be accessed, disclosed, altered, or destroyed by breach of any of our physical, technical, or managerial safeguards." Next, Coin has a security feature that CNN Money reported could also be problematic: it relies upon your smart phone being on and nearby. The security feature deactivates the Coin device if it is far from your smart phone (with the Coin app loaded). So, if your smart phone battery has died or your phone is broken, then your Coin card won't work. Nightmare scenario #1: you are at the phone store to buy a replacement battery for your dead smart phone, but you can't because the credit/debit credentials on your Coin card are locked. Only you know how often you fail to charge your smart phone and/or been stranded somewhere with a dead smart phone. Nightmare scenario #2: while you wait for your smart phone insurer to send a replacement smart phone for the one you lost/damaged/dropped, you can't use your Coin card. last, Coin's convenience is limited. You can load an unlimited number of cards into your Coin account, but only up to eight (8) cards onto your coin device. So, a certain amount of shuffling is required for those who are heavy shoppers with lots of plastic in your wallet/purse. So, is Coin a good deal? Only you can decide for yourself. Hopefully, I've highlighted some of the issues to consider. As a wise person once said: the devil is in the details. Coin is not for me. I do not want to include yet another vendor in my purchases, as there are already many vendors involved in consumers' payment transactions -- all who want my purchase information for their own "big data" or data-mining purposes. Thanks to NSA surveillance, we've learned that metadata is extremely valuable, too. To me, convenience alone is not enough for a vendor to gain access to my purchase transactions. Plus, the executives at Coin seem to have done, what appears to me to be, a masterful job at crafting online policies that effectively limit their liabilities, limit rights, and place a burden on Coin users that I find unacceptable. If you have and use eight credit cards, one could argue you have bigger issues to address with credit. Me? My wallet is already light enough -- intentionally. I use only one credit card when shopping, avoid using prepaid cards (due to many fees and fewer consumer protections), and use my debit card only at my bank's ATM machines once weekly. Some membership cards have optional prepaid features, which I don't use for purchases because of the many fees on prepaid cards. Plus, the supermarket chain I shop at discontinued its loyalty-card program. So that card has already been destroyed. Plus, more retailers will replace their loyalty-card programs with newer, more comprehensive tracking technologies (e.g., smart shopping carts, video-camera-enabled mannequins, wristbands, WiFi hotspots, smart trash bins, etc.) in physical stores. What's your view of the Coin service? Last year, the Consumer Financial Protection Bureau (CFPB) launched its "Ask CFPB" service with answers to frequent questions by consumers. I visited the website to see what it said about prepaid cards. What is the difference between a debit card and a prepaid debit card? What are some of the main types of prepaid cards? Some prepaid cards are "closed-loop" and some are "open-loop." For example, gift cards from Dunkin' Donuts, The Old Spaghetti Factory, Starbucks, or Barnes & Noble are closed-loop cards -- usable only at each retailer's stores. Open-loop prepaid cards (GPR) can be used in many retail stores, like traditional debit cards and credit cards. The prepaid cards for some public transit systems (e.g., subways, buses, commuter trains) are closed-loop, and others are open-loop. Another example, when its prepaid features are activated the AAA Prepaid Card is an open-loop card. It's important for consumers to remember that while open-loop GPR prepaid cards may look like traditional debit cards, they aren't because of the different regulations, disclosures, and rights for consumers. You can browse on your own the answers about prepaid cards at the "Ask CFPB" website, so I won't repeat the answers here. If you have a problem, you can submit a complaint at the CFPB website. However, if you want to know more than the basic answers, keep reading. "According to a 2009 FDIC study, 9.7 percent of all households used these prepaid cards. Mercator Advisory Group reports that the prepaid market totals $57 billion and is expected to grow at a rate of 42 percent per year from 2010-2014. The two largest prepaid card program managers have reported a jump from 3.4 million active cards in 2009 to over 7 million this year. It is projected that the total dollar amount loaded onto prepaid cards will hit $167 billion in 2014... The largest prepaid card program manager in the United States reported that funds directly deposited onto its prepaid cards increased by nearly 70 percent from 2010 to 2011..."
"Fees and Terms Disclosure: The lack of an industry-wide standard on prepaid card fee disclosure may make it difficult for consumers to understand the cost of the product or compare fees. Often, consumers do not know what protections or fees come along with their prepaid cards prior to purchase because such disclosures are contained inside the packaging... Consumers should also know whether or not their funds are protected by FDIC insurance..."
"Unauthorized Transactions: Federal regulations require that credit and debit card issuers limit consumers’ liability when their cards are used without their authorization. These regulations do not extend to prepaid cards. Many prepaid card issuers voluntarily offer this protection, but it is not standard across the industry..."
"Product Features: Most prepaid cards do not offer any credit features. In general, cardholders may not be able to withdraw or spend more than the funds loaded on their cards. However, some prepaid cards allow their cardholders to overdraw their accounts, and some offer small-dollar loans or a line of credit. Similarly, very few prepaid cards have a savings account. Even though such savings accounts typically have high interest rates, consumers do not seem to take advantage of the opportunity to save. Another feature is that of credit repair, which claims to offer consumers the opportunity to improve or build credit..."
"... Some [prepaid] cards are “closed-loop cards,” which a consumer can use only at a specific merchant or group of merchants. Other cards are "open-loop cards," which a consumer can use anywhere that accepts payment from a retail electronic payments network, such as Visa, MasterCard, American Express, or Discover..."
"Many, but not all, GPR card accounts are insured by Federal Deposit Insurance Corporation (FDIC) pass-through insurance (coverage that "passes through" the agent to the holders of the accounts). Other GPR cards may provide alternative security mechanisms, but do not offer FDIC pass-through insurance..."
Why buy a prepaid card without that protection for your money? If you didn't know before, you know now to shop for GPR prepaid cards with that protection. And, I bet you will, provided the prepaid card's exterior packaging includes these disclosures. Obviously, a GPR prepaid card with FDIC insurance protections is more valuable than a card without that protection. Wise consumers want their money protected. "We are also expecting to build on an Advance Notice of Proposed Rulemaking that we published last year concerning prepaid cards, by developing a proposed rule to strengthen federal consumer protections for these products." I look forward to reading later this year the CFPB's updated rules about prepaid cards, even though the agency did not seek feedback in 2012 about (closed-loop) gift cards, payroll prepaid cards, and electronic benefits transfer (EBT) prepaid cards. 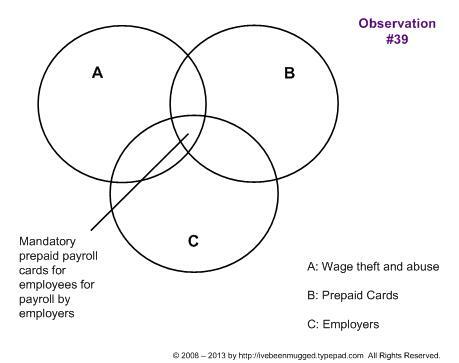 Given recent news stories about payroll prepaid cards, consumers need improved disclosures to avoid losing choice and getting "mugged" with undisclosed fees. Many consumers consider switching to GPR prepaid cards to avoid overdraft fees with debit cards attached to traditional checking accounts. Is this wise? Only you can decide for yourself as you know your lifestyle and finances best. Do your research first. Wise consumers understand their rights and responsibilities before buying any prepaid card. It is wise to shop around and compare first, so you don't get "mugged" by other fees. Both CNN Money and Consumer Reports found a wide variety of fees when it investigated prepaid cards: activation fees, monthly fees, reload fees, cash withdrawal fees, inactivity fees, online payment fees, paper statement fees, customer service phone call fees, and more. If you need to build your credit history, then a prepaid card may not be right for you. Wise consumers do the research first to determine whether a prepaid card fits your lifestyle and spending habits. Read this FDIC comparison between debit cards, credit cards, and prepaid cards. For me, a GPR prepaid card does not meet my needs. I don't buy nor use GPR prepaid cards, unless they are a gift from a family member or friend. Is It Wise To Move Your Money To A Prepaid Card? What's your opinion of prepaid cards?